Whenever we visit a science museum, we encounter more than just fascinating facts about nature, biology or dinosaurs. Visual aids play a major role in educating and informing, however it doesn’t mean these aids should have lacklustre artistic qualities. 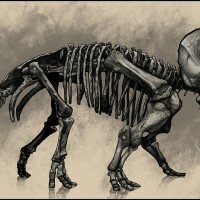 Working closely with McGill’s paleontologists, the purpose of this project was to develop a unique portrayal of one of the most famous species of ceratopsian dinosaurs using the most up to date anatomical information and theories available. 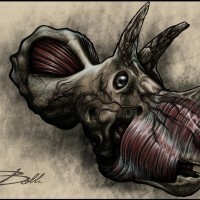 The project was to be illustrated, designed, printed and displayed around the molded replica of an adolescent Triceratops skull displayed in the main hall of McGill’s Redpath museum. The four panels featured in our gallery below are an example of a skilful interplay between the scientifically accurate and the artistic. 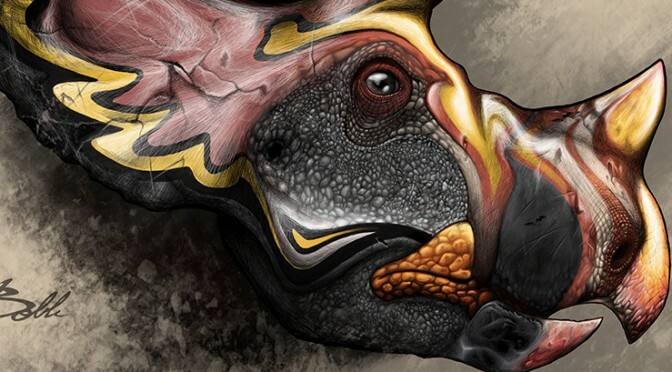 The front panel displays the skeleton of an adult Triceratops and features brief information regarding its place of origin, measurements and its most striking features — the frill and three-horned face. 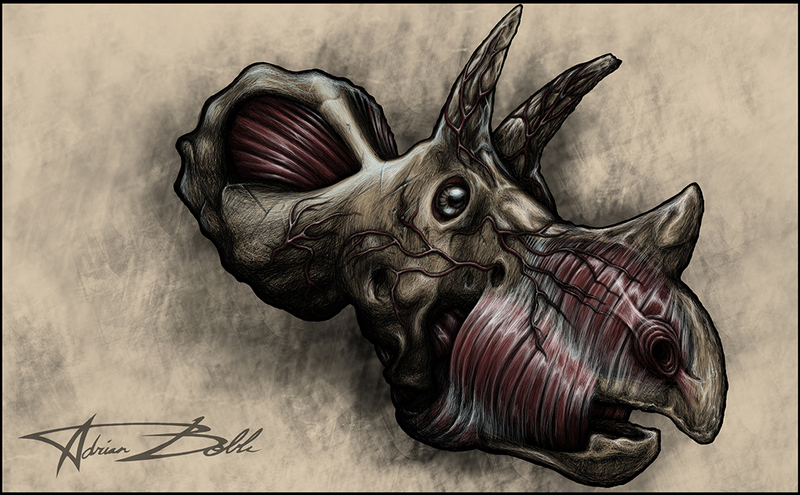 The second panel displays the basic musculature and vascular arrangement in detail, highlighting how they would have aided the creature in carrying out basic animal functions such as jaw movement, eye motion and olfactory activity. 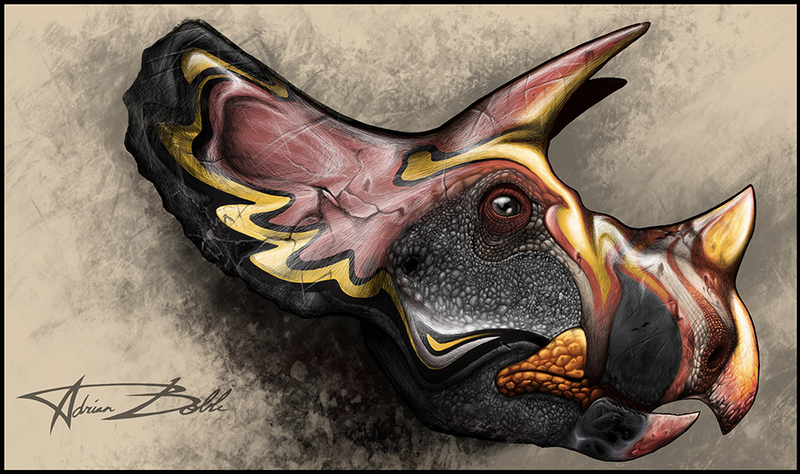 Following the theories and information provided by paleontologist and McGill professor Hans Larsson, I was able to put together an accurate as well as creative portrayal of a “colorful” Triceratops, or more accurately, a keratin-covered Triceratops. 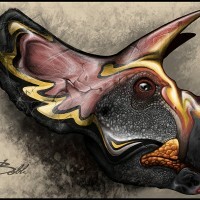 Looking at exotic bird species like puffins and tropical birds, I put together a unique and creative version of what triceratops could have looked like given a head covered in a material capable of taking on a complicated color palette. 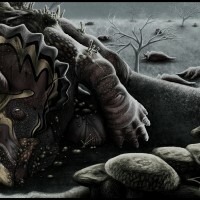 During this project I learned that the K-T extinction endured for centuries (nothing notable on a geological timeline) and while hostile to organisms dependent on the sun, was actually quite beneficial to organisms that thrived off of dead material — something that happened to be in abundance at the time. And so I chose to portray a dark and colorless environment covered in ash and consumed by fungus. Being a concept artist for film and television by trade, I also wanted to portray a bit of a narrative in the image. Knowing well that for our mammal descendants this was a time for opportunity, I felt having them in the foreground as “observers” would give the image a bit of context as well as provide a “silver lining” in this otherwise grim setting. 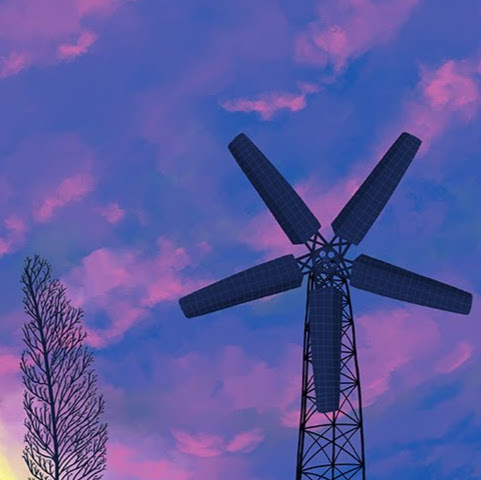 While I am in no regard a scientist, I am a science romantic, and being able to contribute in even the smallest way is more than I can ask in a field that inspired me to encourage wonder and awe through illustration. 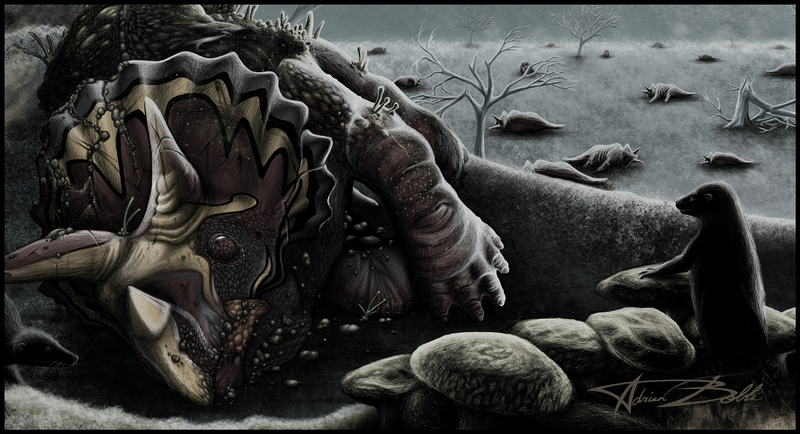 Lovely paintings of one of my favorite dinosaurs of pretty much ever/all time.